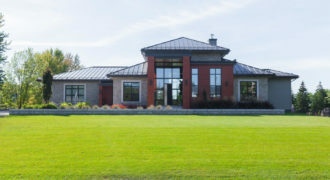 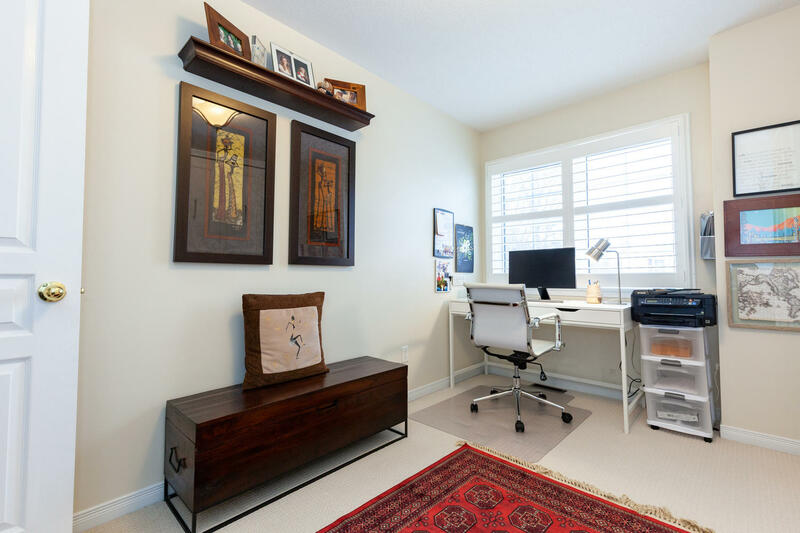 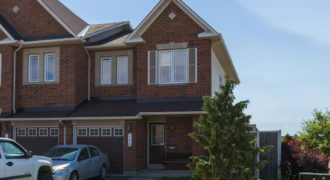 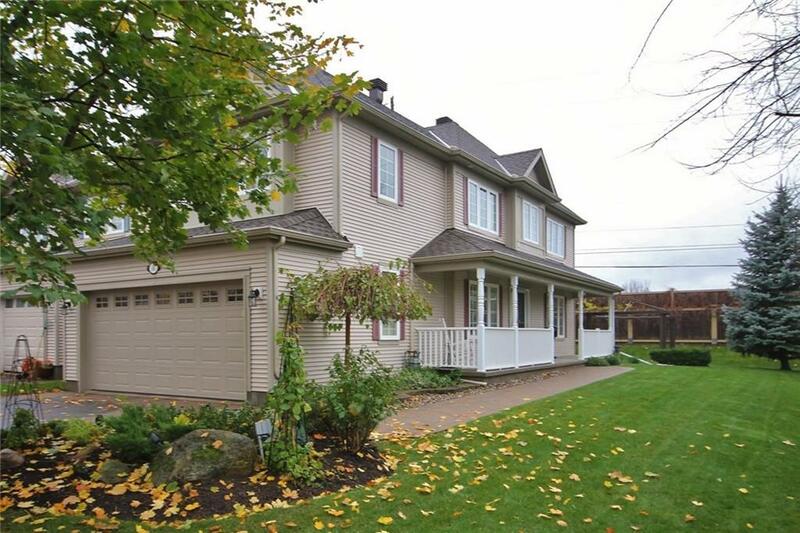 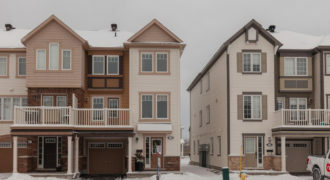 This “Gem” is situated in the extremely popular Golf Course community of Stonebridge. 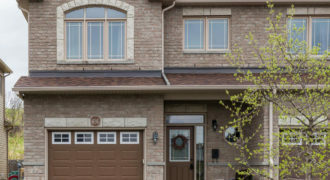 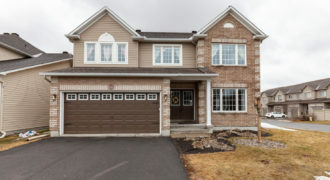 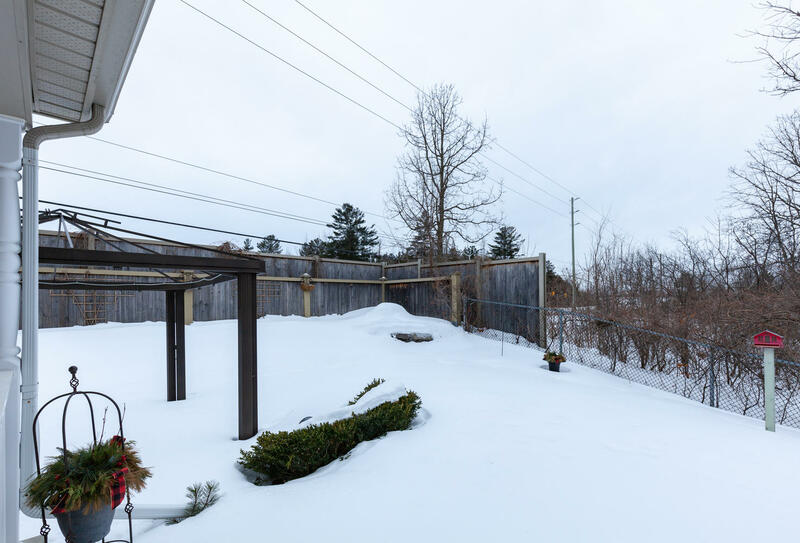 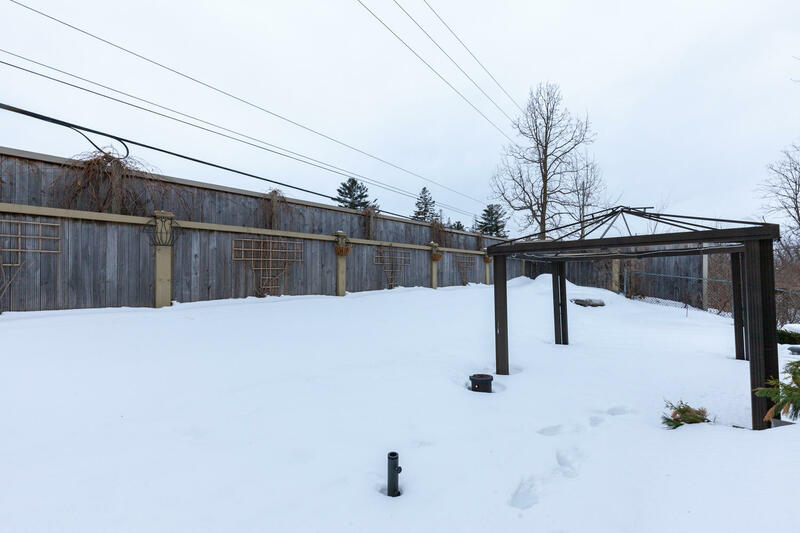 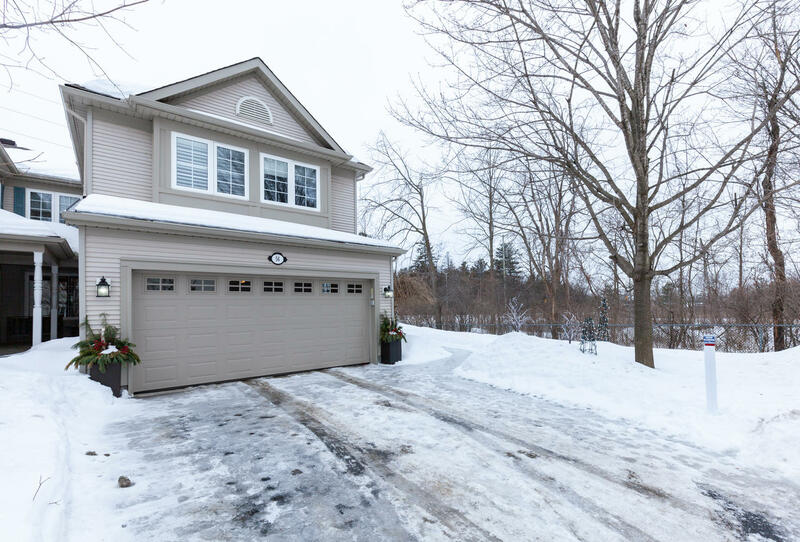 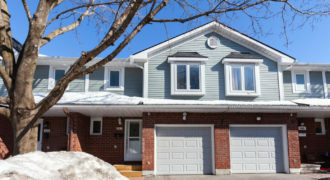 The location is outstanding, a truly private locale siding on the conservation area with no rear neighbours. 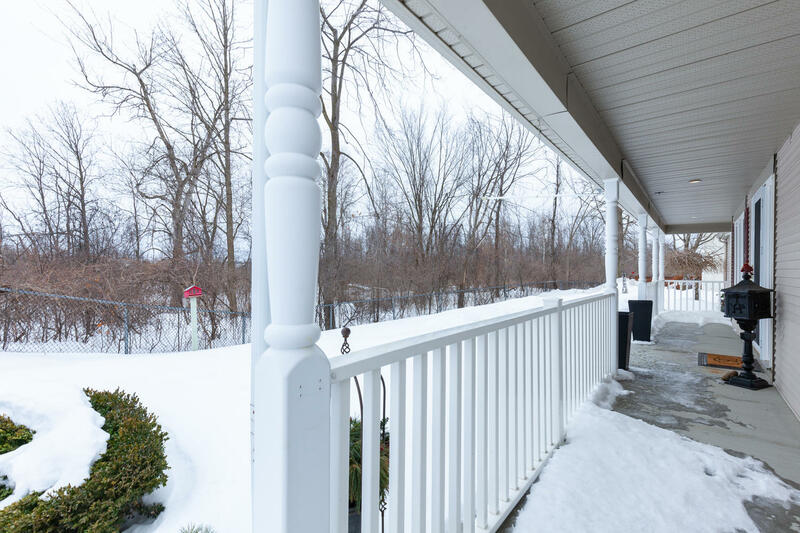 The front verandah, beautiful landscaped yard and interlock walkway combine to create exquisite curb appeal. 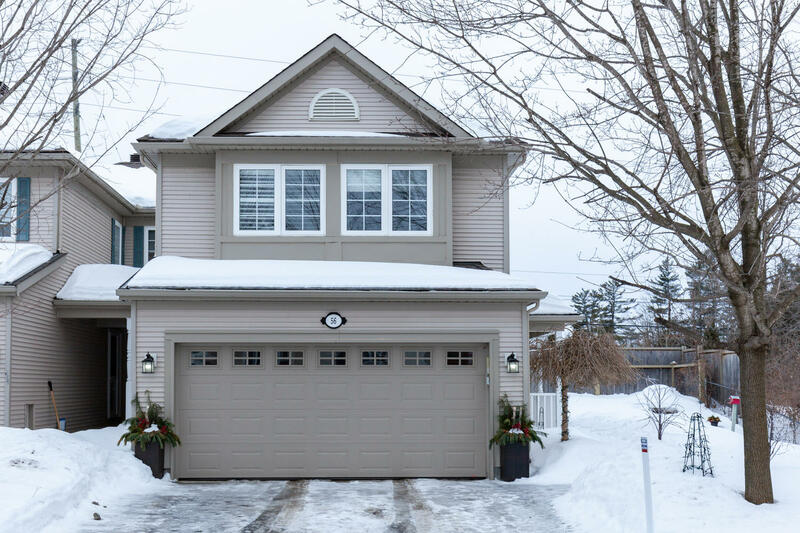 A double car garage with additional parking for two vehicles is certainly a bonus. 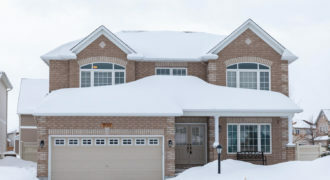 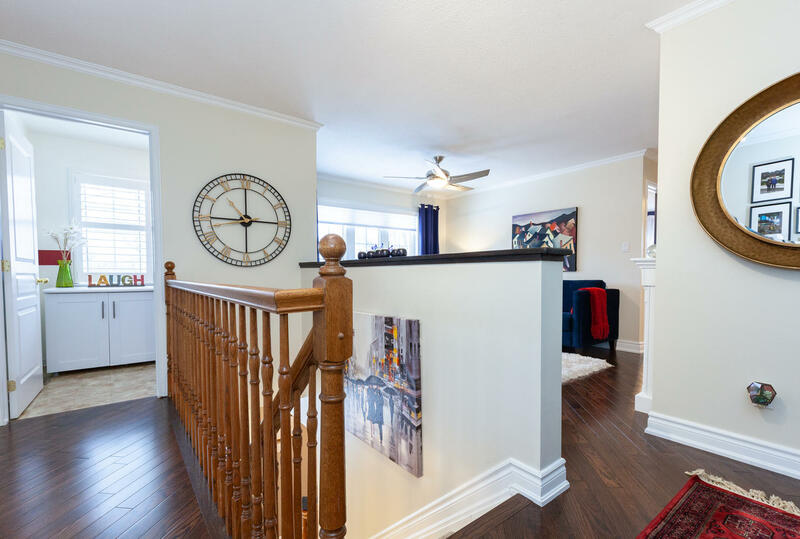 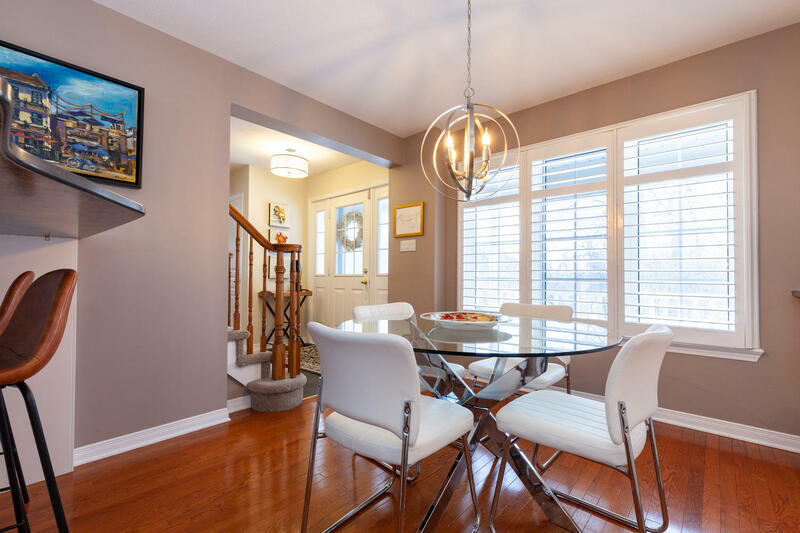 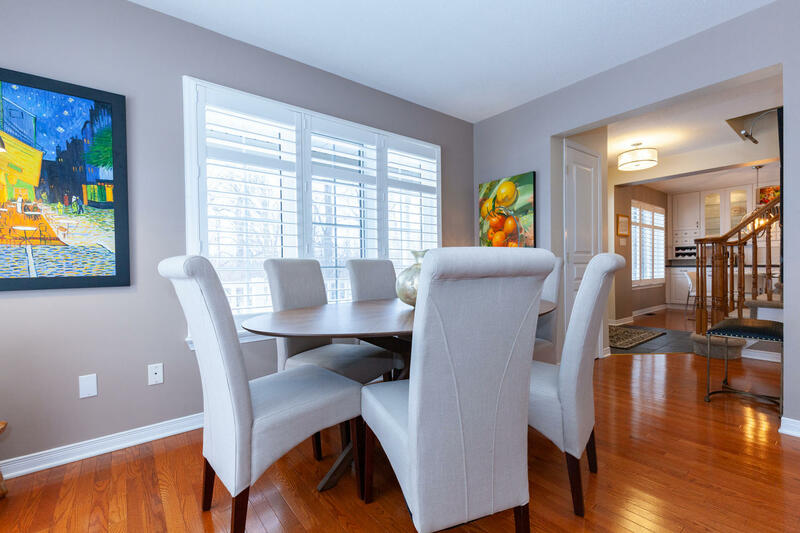 Once inside, you are greeted in the front foyer with gleaming hardwood that runs throughout the living and dining areas and the kitchen eating area. 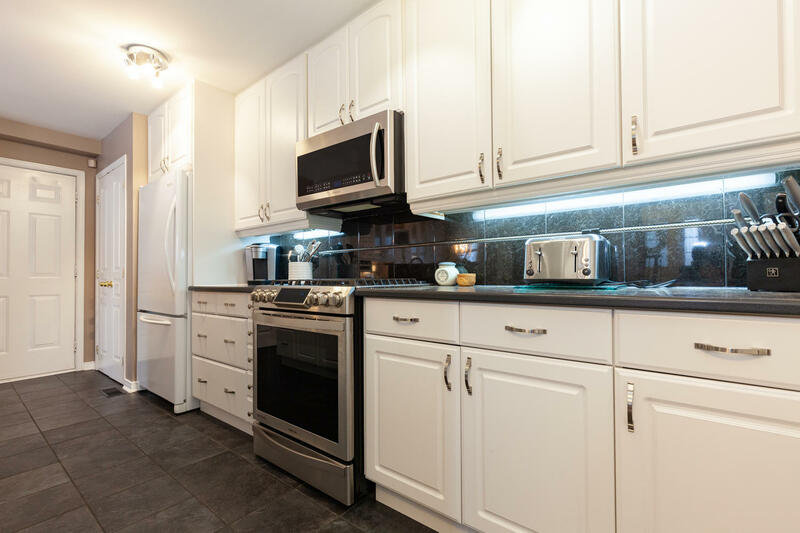 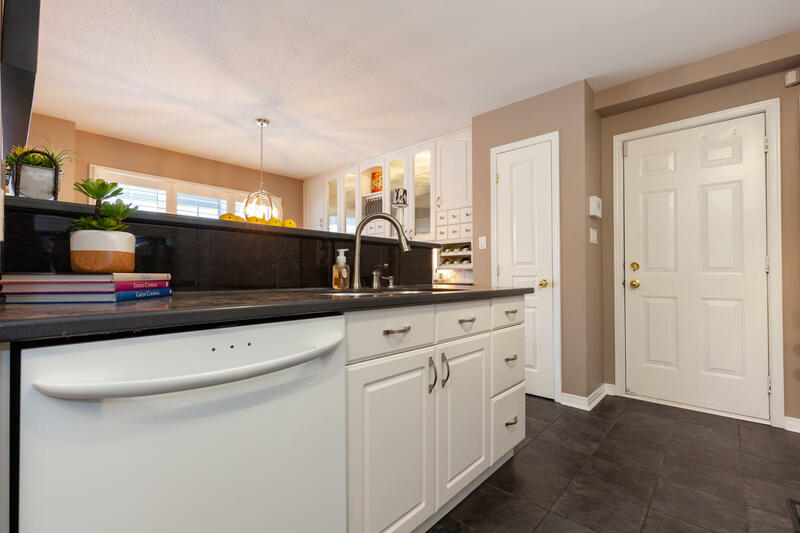 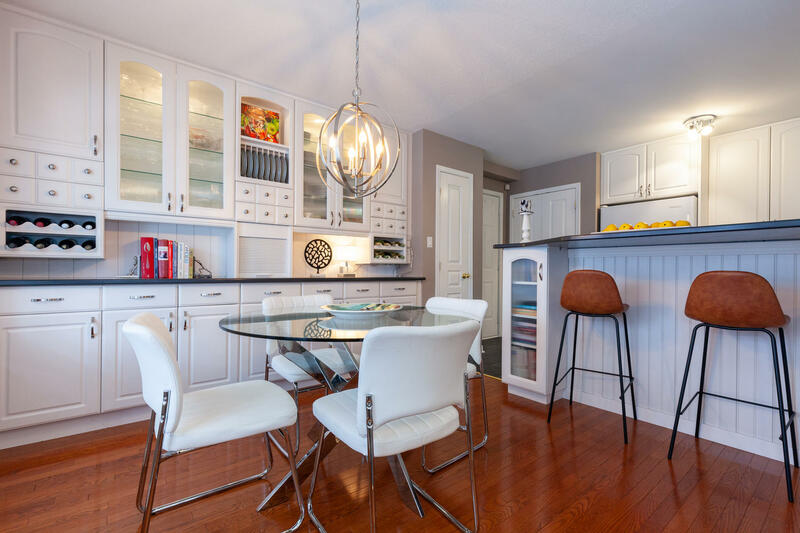 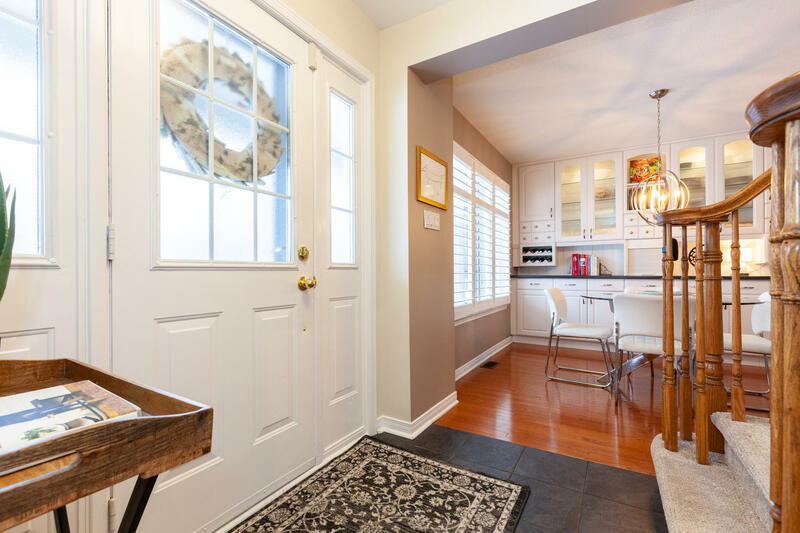 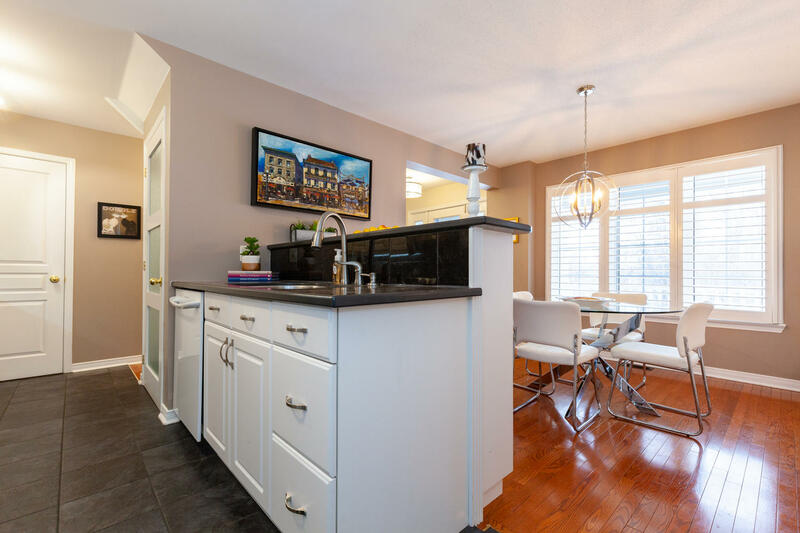 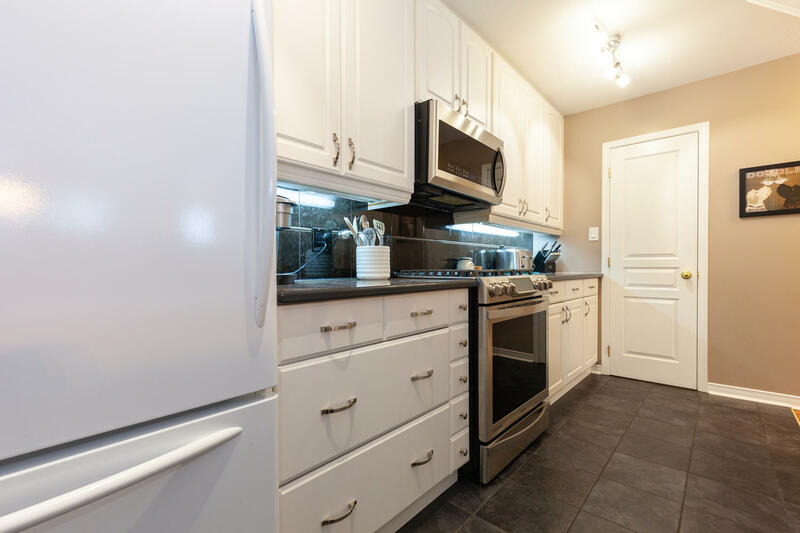 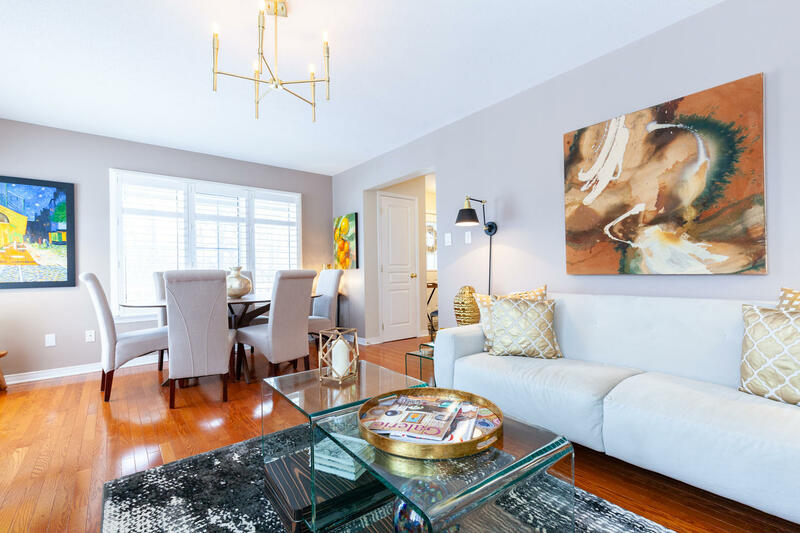 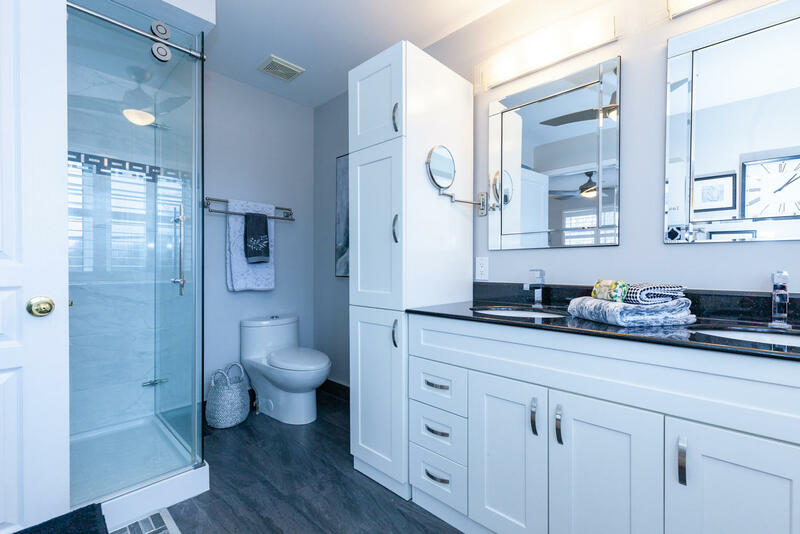 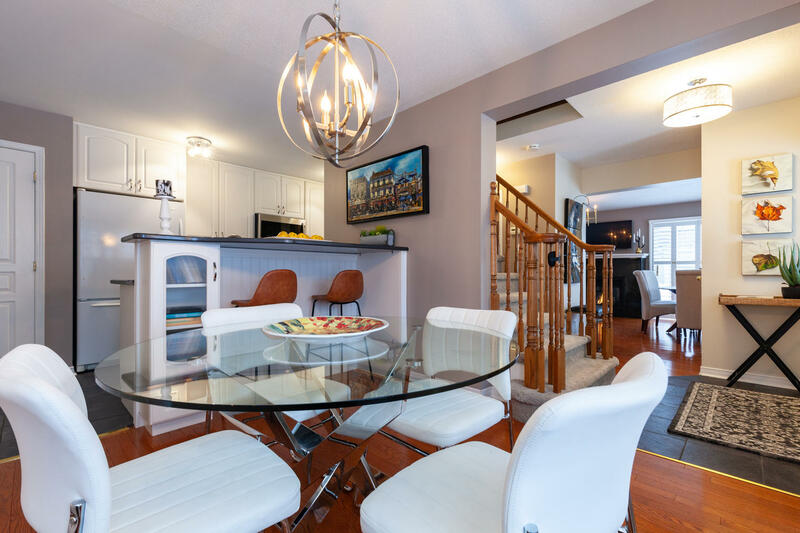 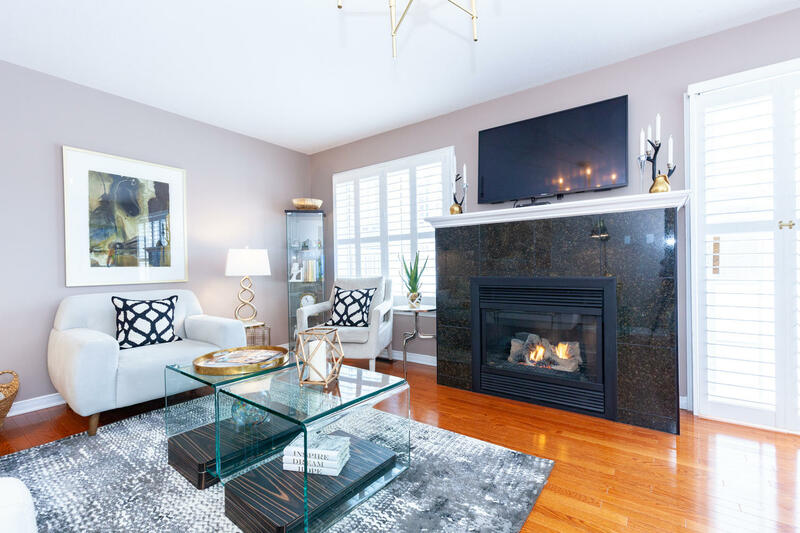 The kitchen has been completely renovated featuring classic white cabinetry, an extended buffet, breakfast bar, trendy light fixtures, gas stove and walk-in pantry. 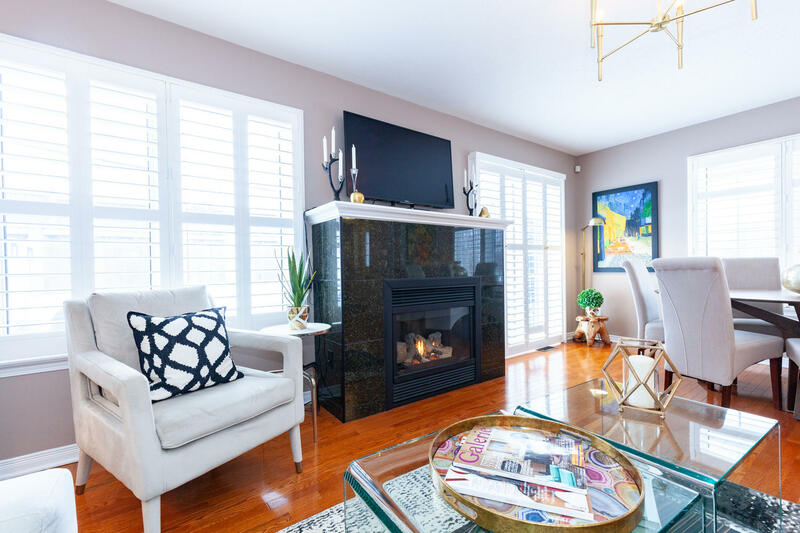 The living and dining rooms have been freshly painted and features gas fireplace. 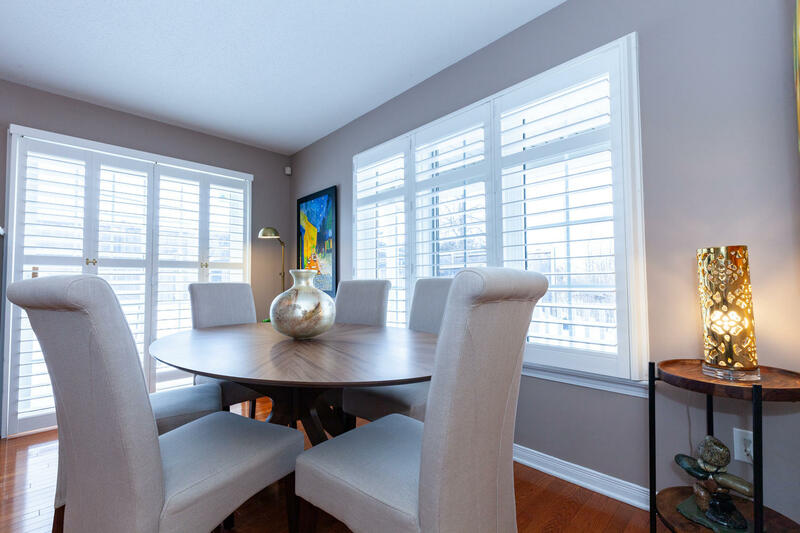 Custom California shutters and patio doors leading to the backyard interlock patio. 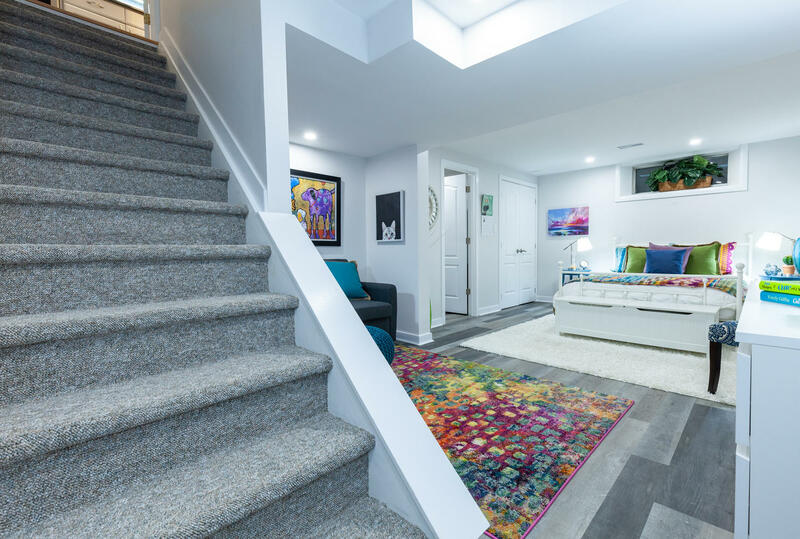 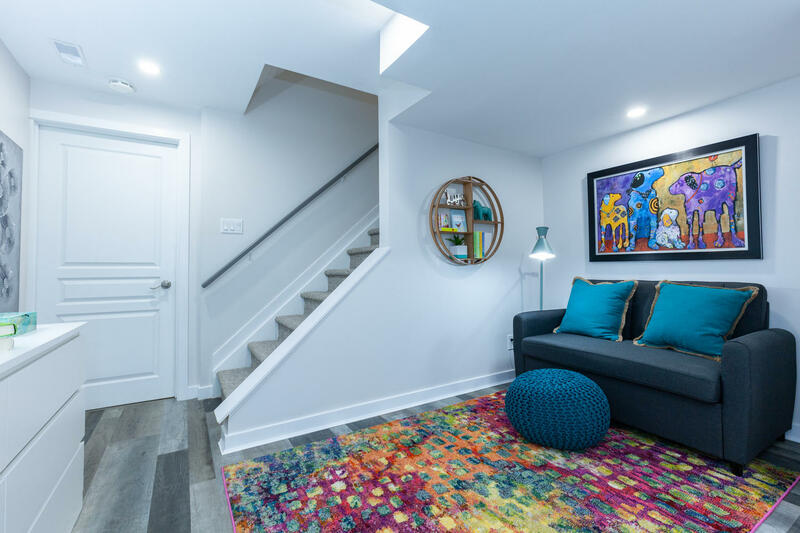 The second level of this home offers a unique loft/sitting area. 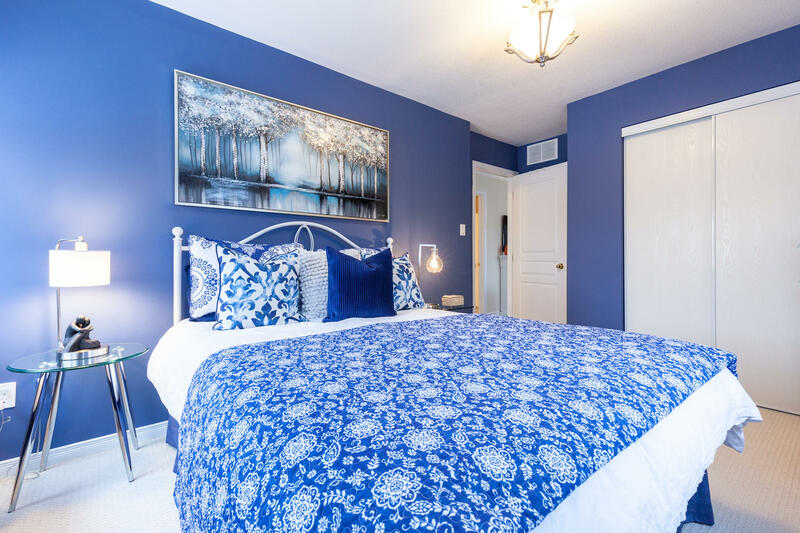 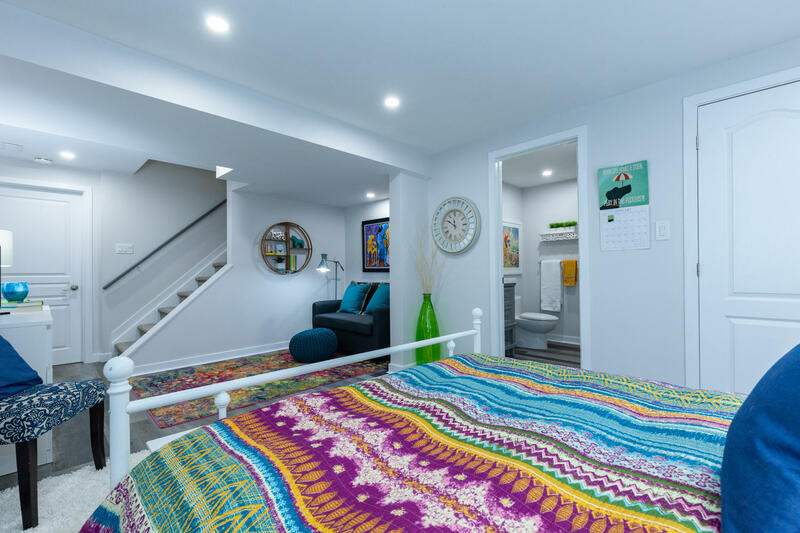 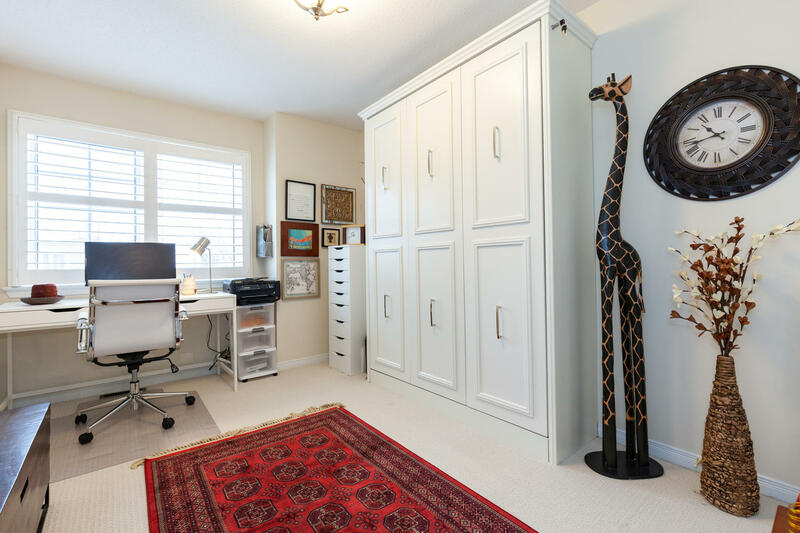 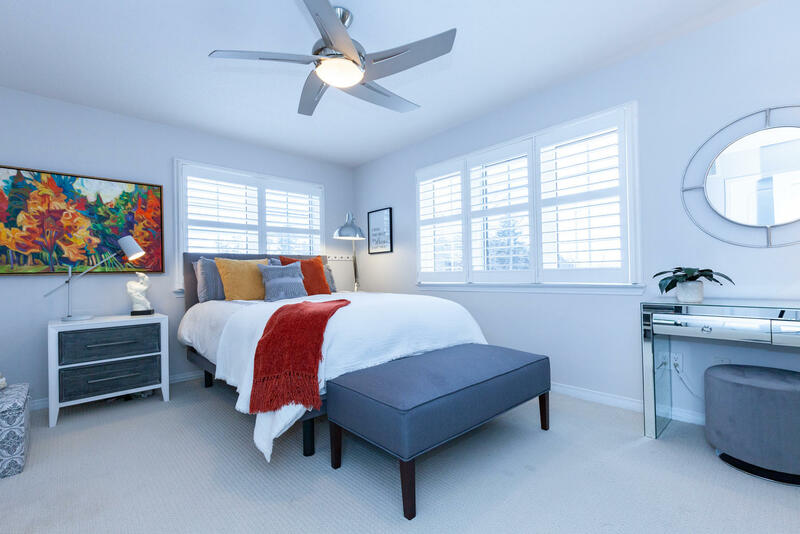 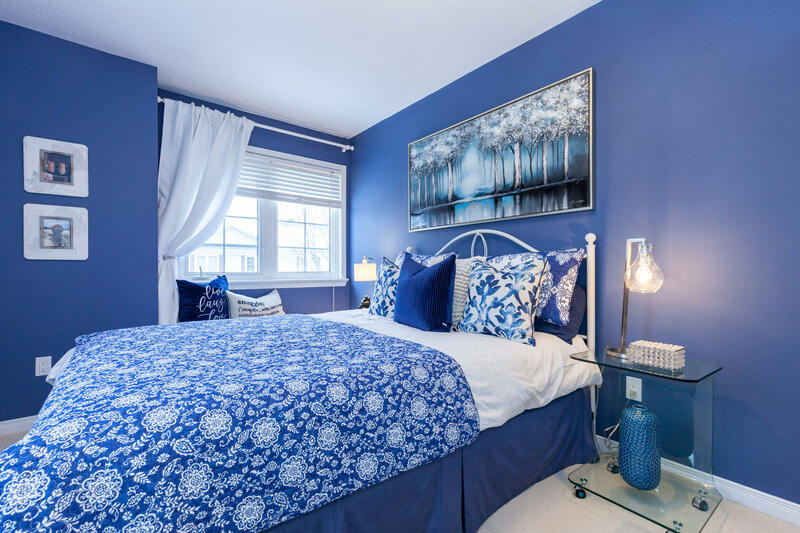 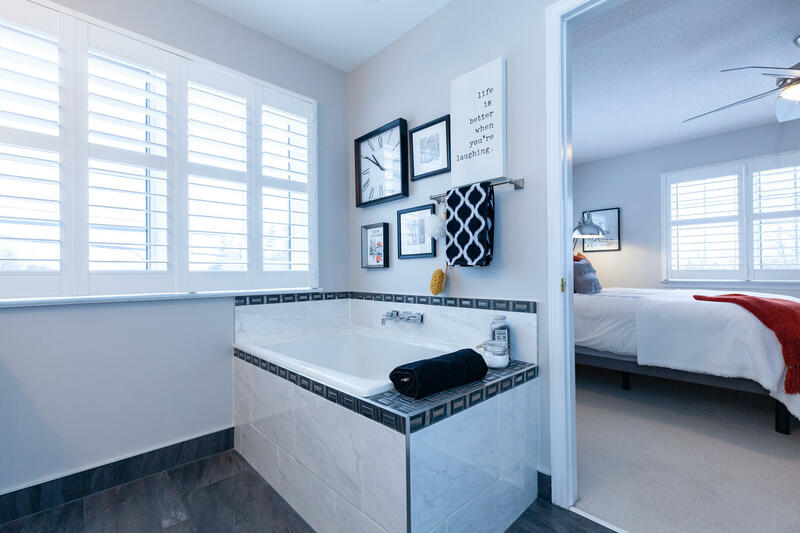 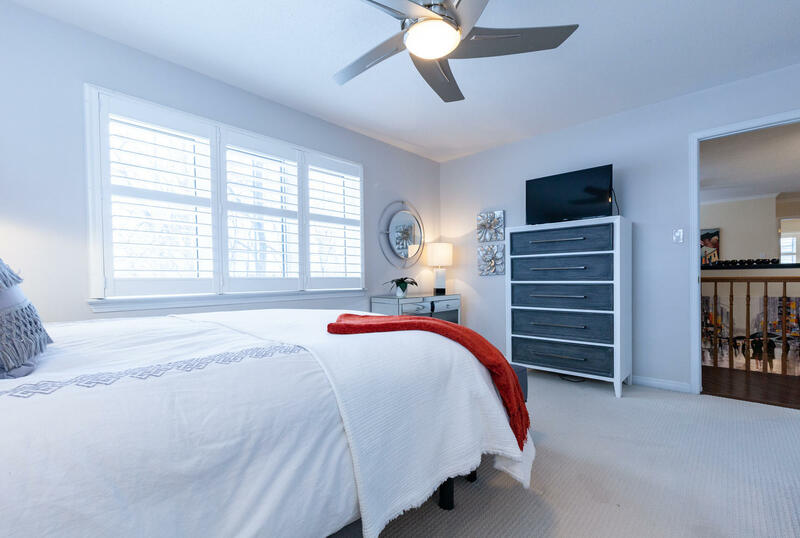 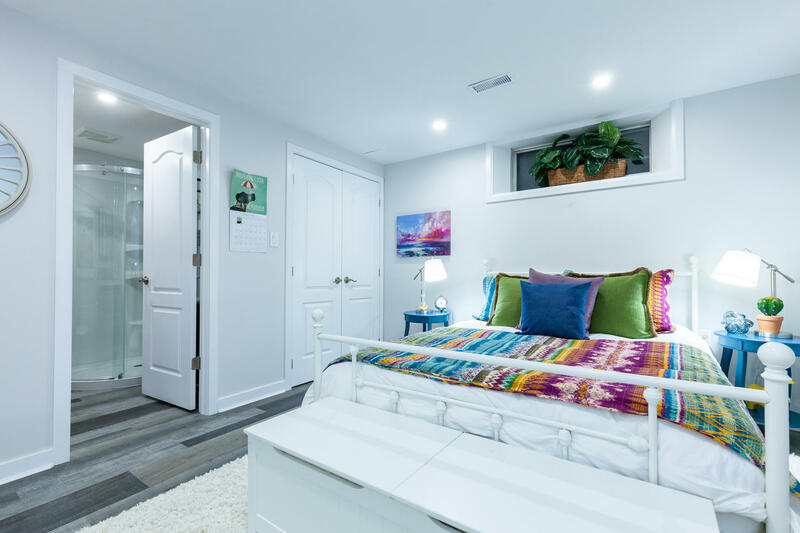 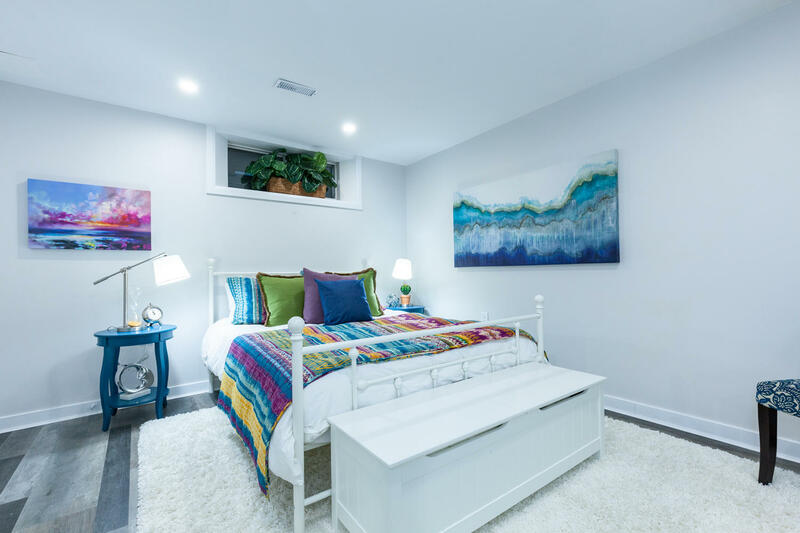 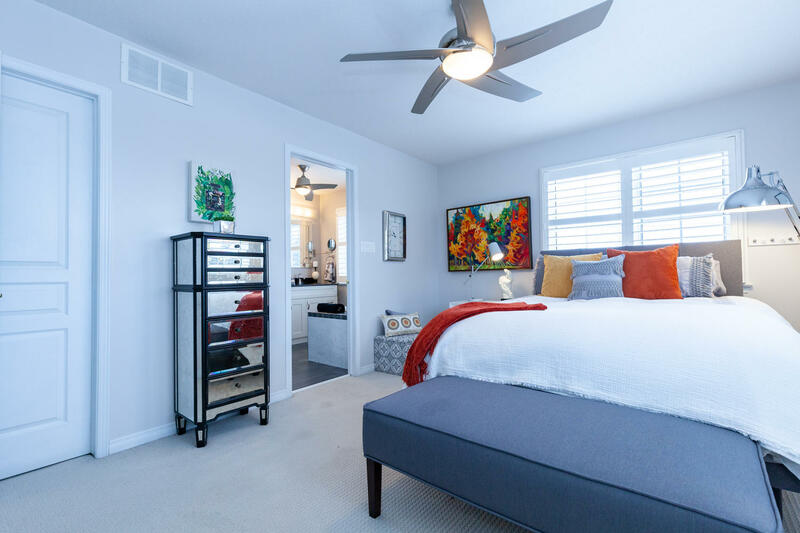 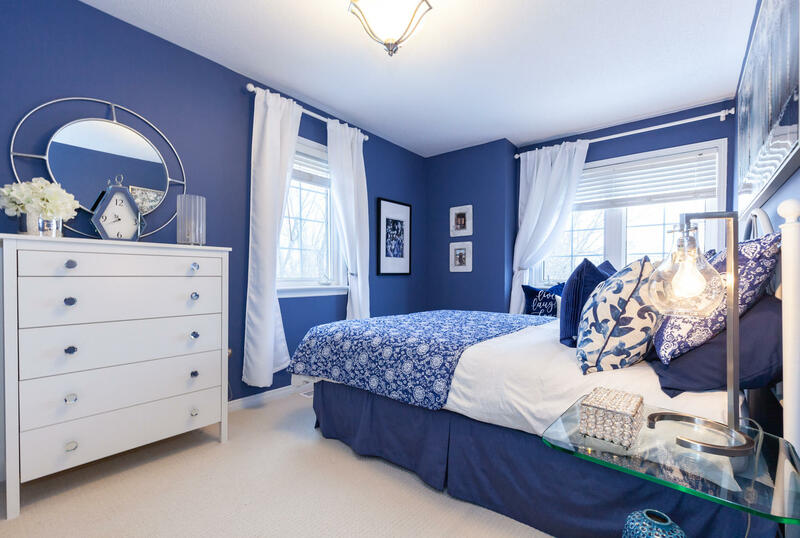 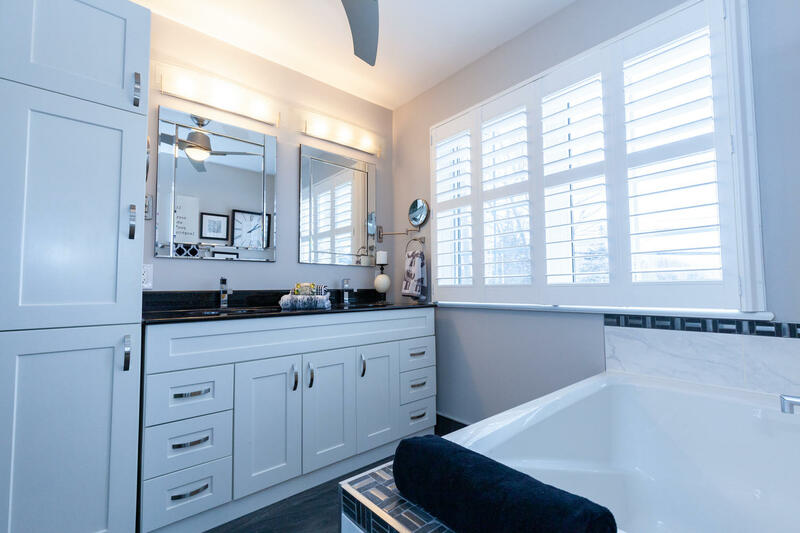 The master bedroom features an updated four-piece ensuite and walk-in closet. 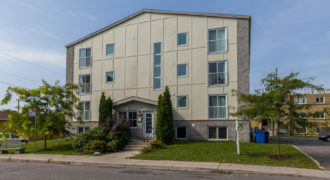 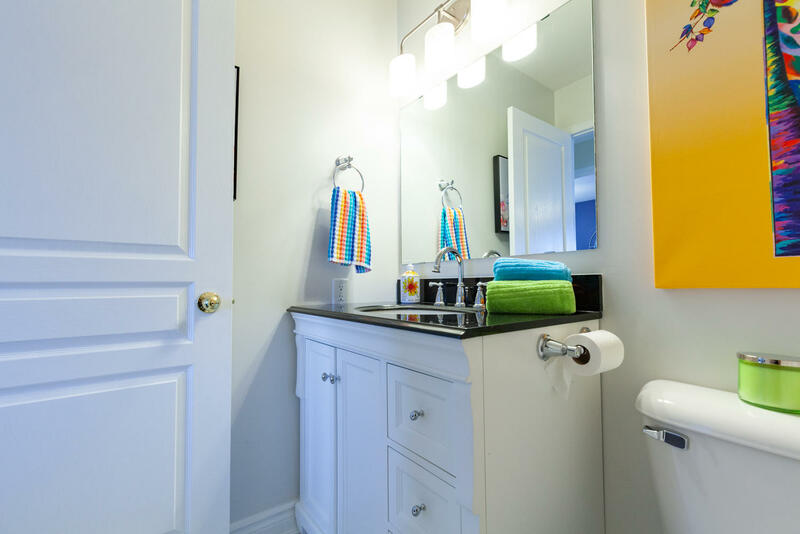 Laundry facilities, the renovated main bathroom and two guest bedrooms, a “murphy” bed complete. 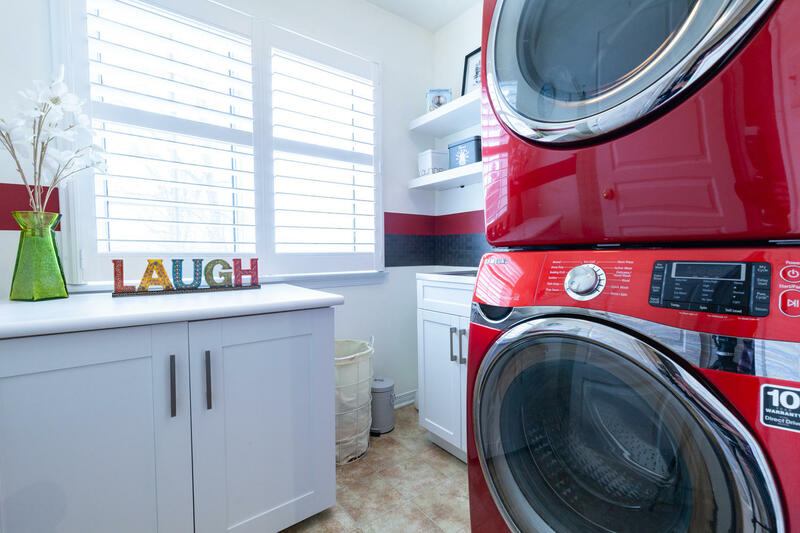 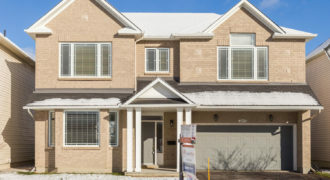 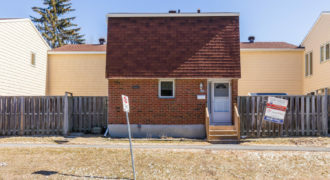 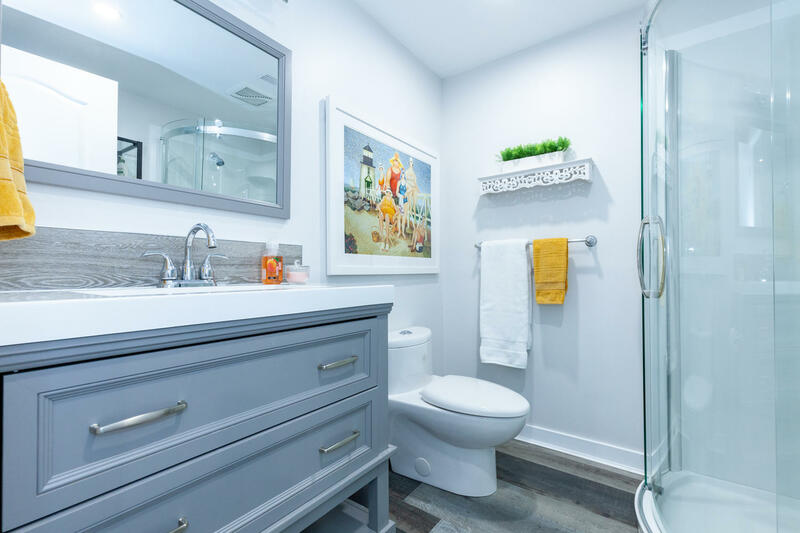 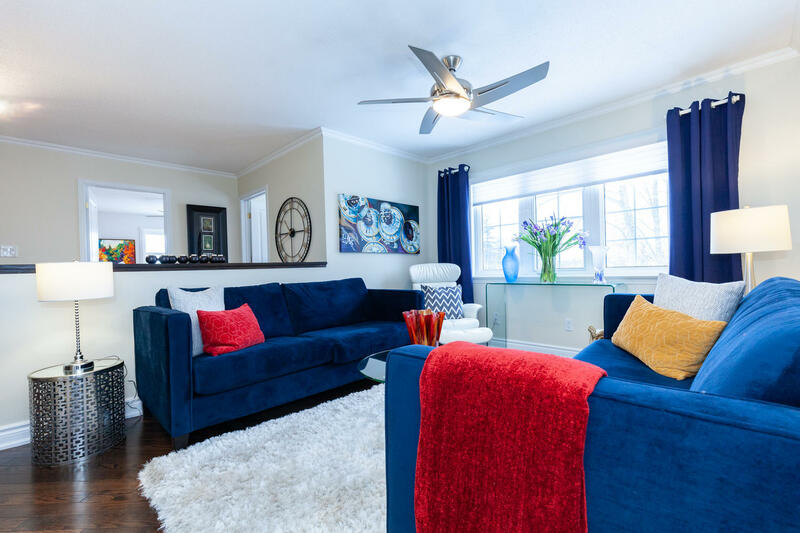 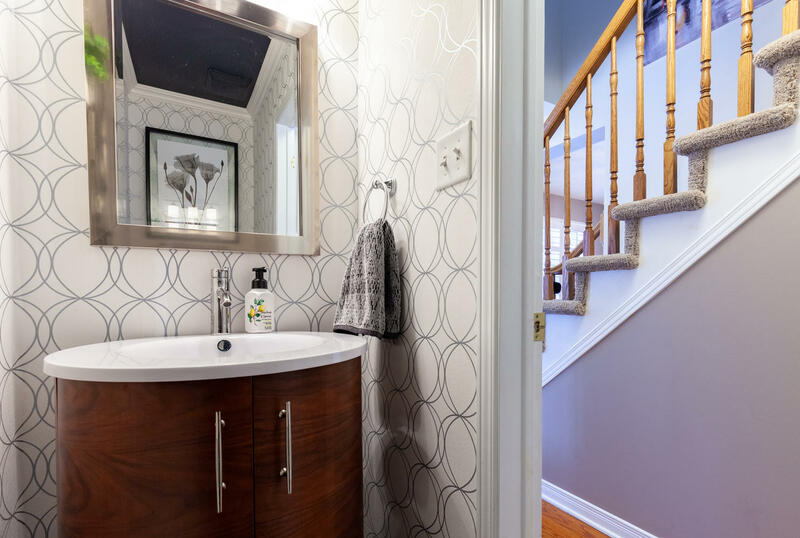 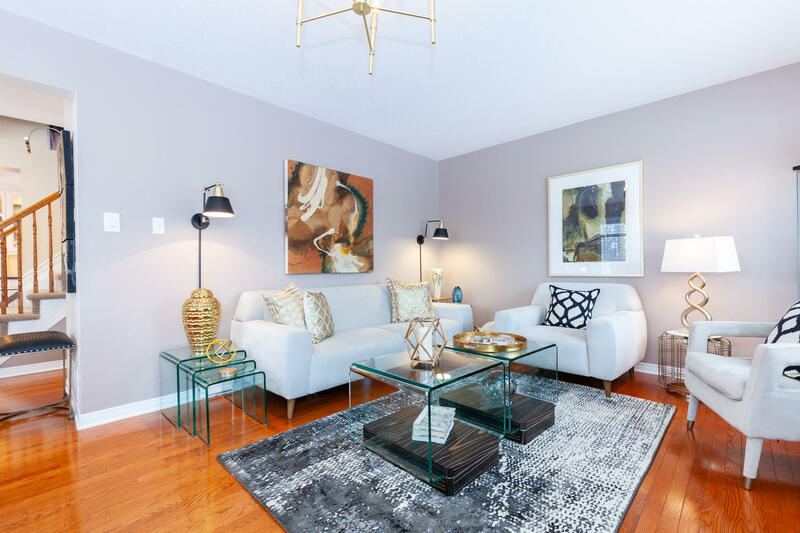 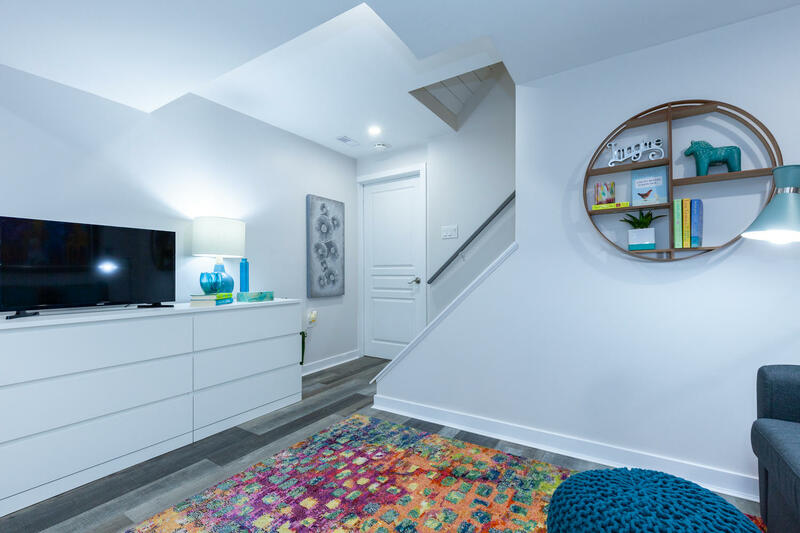 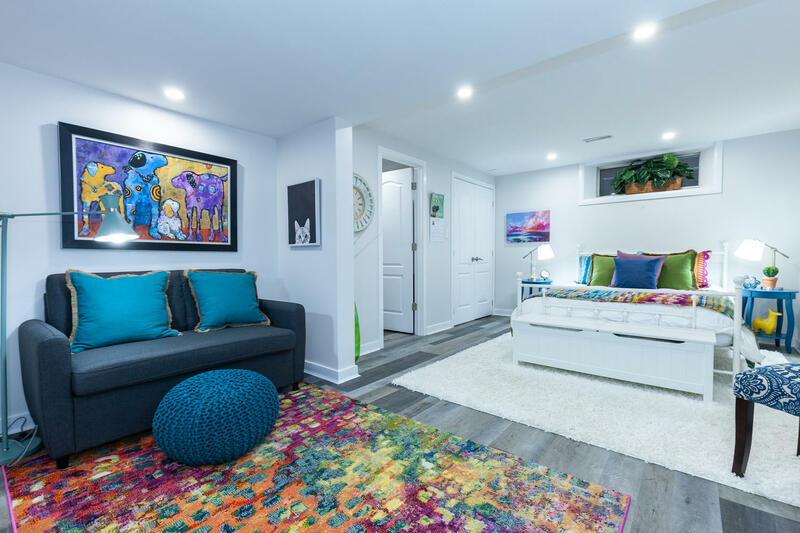 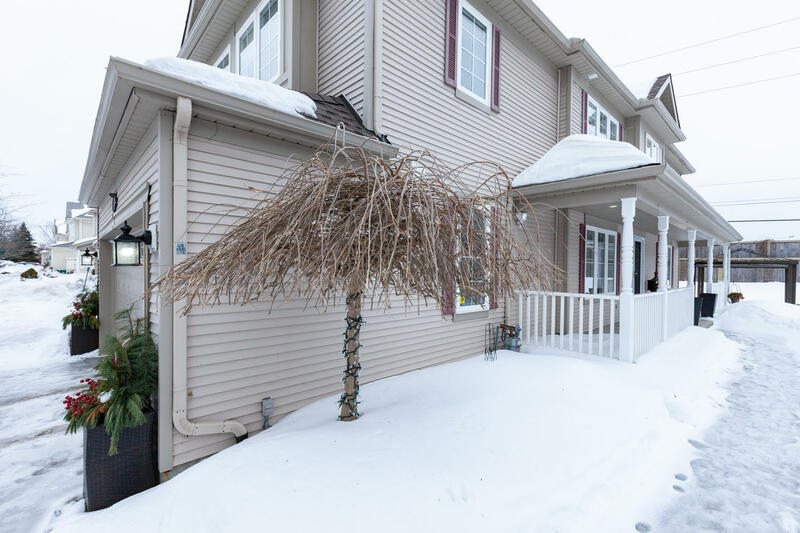 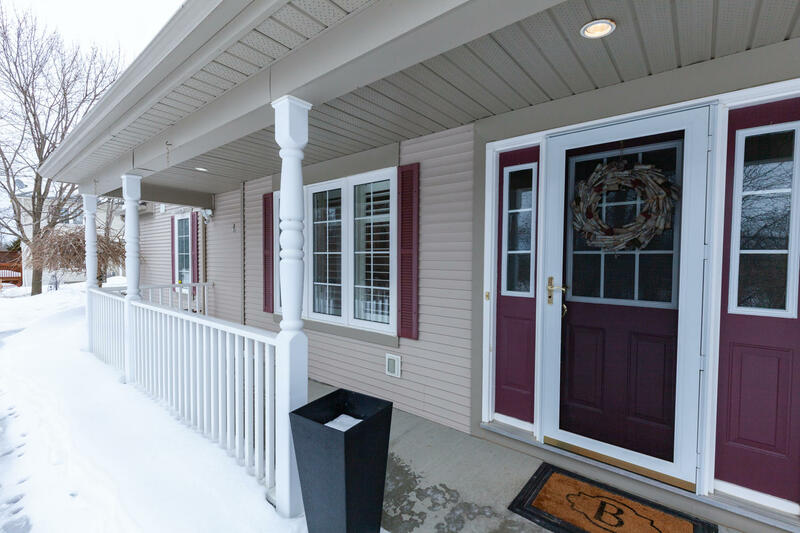 The lower level of this home has been completely gutted and features a family room with trendy laminate flooring, a three-piece bathroom and plenty of storage. 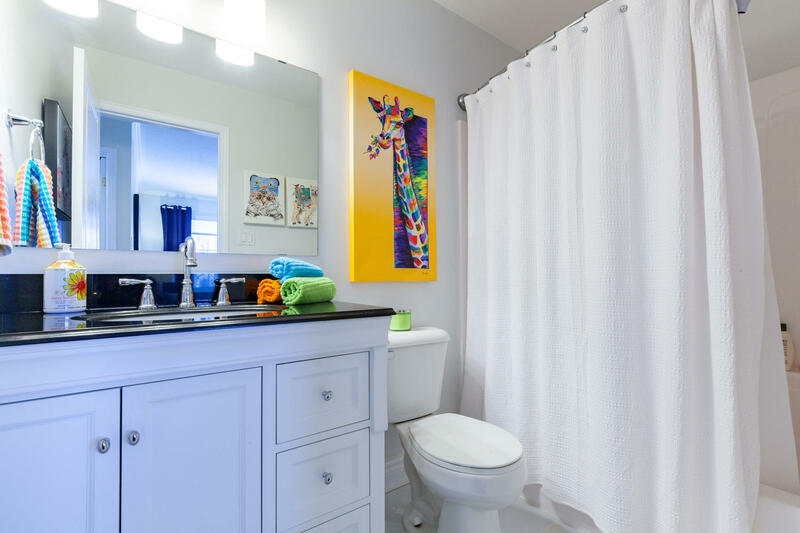 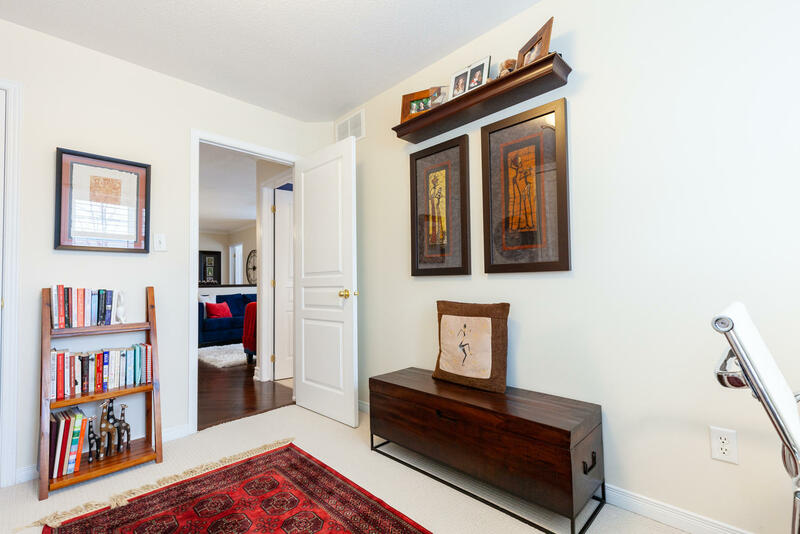 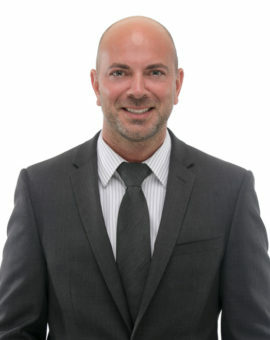 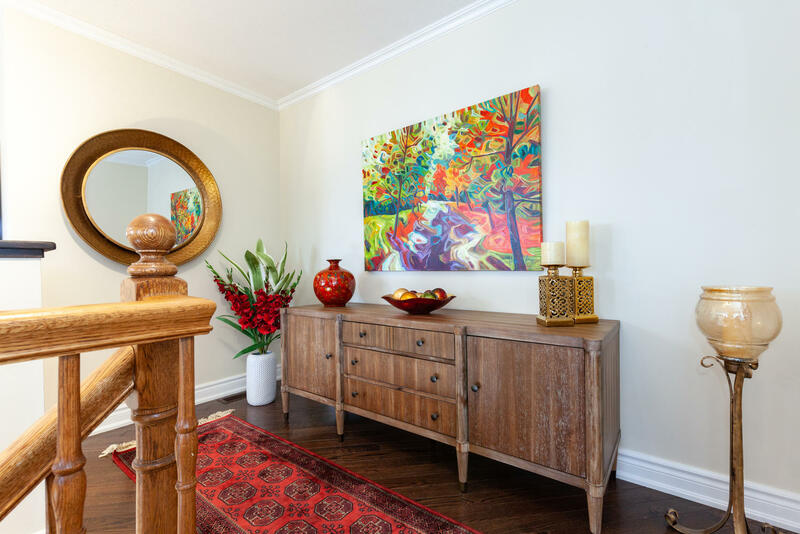 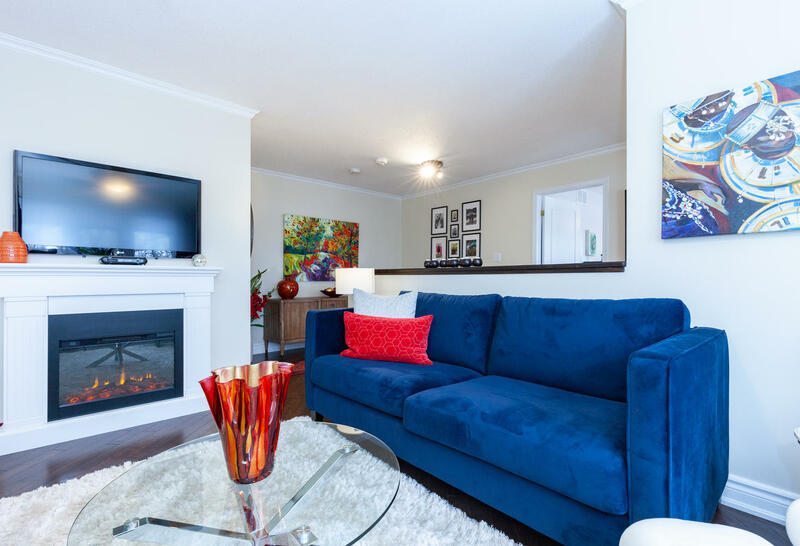 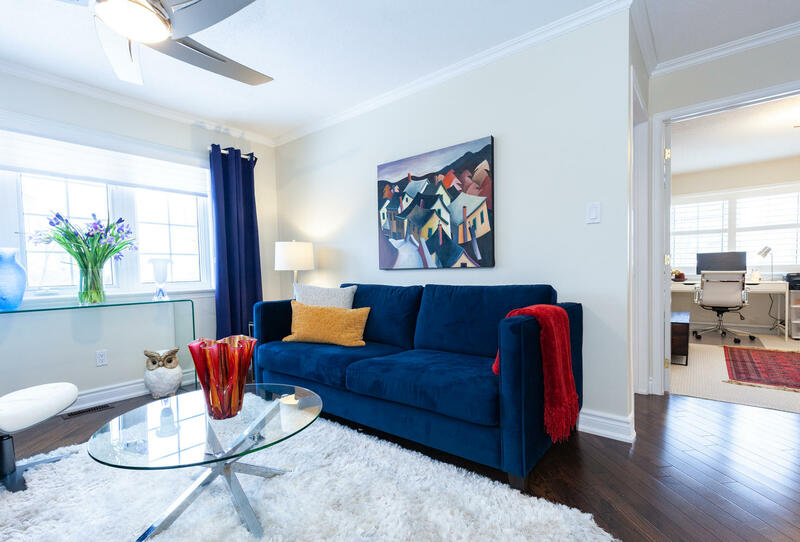 Tasteful décor throughout with no stone left unturned, this home is 100% turnkey.